Is Blocking or Adjacent Channel Interference the real problem with DAB reception? This post on Blocking and Adjacent Channel Interference in DAB started-off as a review of the DAB-FM convertor being sold in Aldi Supermarkets (right). But halfway through the review we changed our minds on the emphasis of the review! As a result we suggest that Blocking on DAB receivers may be the real reason why so many people complain of “crap” reception of DAB services! Below we give a brief review of this product, and then explain some of the theory of Blocking and Adjacent Channel Interference. This unit currently retails for £34.99. 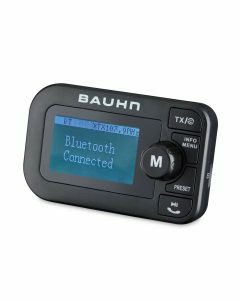 This is hardly an absolute steal, but still not bad value if your car does not have DAB and you want to listen to the (less than there ought to be) services that are uniquely available on DAB. The unit was smaller than we expected and seems nice quality. This deal includes an antenna, USB lead and cigarette lighter plug for power, and a nice windscreen suction clamp. Setup was an absolute doddle – no need to read the instructions – it’s all really intuitive. The FM frequency on ours was preset to 87.6MHz. We consider is the ideal channel to use – most likely to be clear unless someone else nearby has one of these, or there is a local temporary RSL station that uses 87.7MHz. The aerial cable seems excessively long (introducing needless signal loss). Performance seems very good. We would have said “excellent” had it not been for the issue we uncovered, and lead to this extended post. We have heard lots of talk about inadequate reception on DAB – despite all the transmitter infills that have been built, and power increases to existing services. So to test the sensitivity of the unit we decided to place the antenna deep in the footwell of the car instead of “properly” placed high up on the windscreen. Interestingly the DAB Coverage map for the area of our tests (Thornbury, South Glos) indicates it is not covered! Nevertheless, reception was initally perfect, even with the antenna in the footwell! Then we started travelling round – the audio quality was good, but not astounding. We think that is a limitation of the transmtted signal, not a reflection on this unit. We were listening to Absolute Radio that transmits in mono (what a retrograde step!). As a result, although the music was generally enjoyable, it all sounded a but lifeless and flat! FM performance (transmitting the DAB-derived audio on FM for the car radio to receive) was good. Audio quality was very good – much better than most “mp3 transmitters”. Clearly this unit had taken the trouble to use UK/EU de-emphasis of 50µs. Many/most personal FM transmitters on the market use the US 75µs standard – and as a result sound tinny. The modulation also did not have undue noise or hiss like many cheaper units have. We had read that the FM range on this device was very good. However when we tested it it seemed actually lower than most “mp3 transmitters” we have tried. Maybe that is because this unit fully complies with UK law that limits ERP to 50nW (Yes, that’s 50 billionths of a watt!). Despite their CE marks, we suspect many mp3 transmitters on the market might be designed for the US market with permits 100uW and hence have greater range, but risk that knock on the door! We first noticed reception problems when we got within around 1km of a mast that transmits a different DAB signal for South West Regional Multiplex. It is a much smaller transmitter than the one we were listening to (1kWatts versus 9kWatts). Furthermore its frequency is well removed from the signal we were listening to. Nevertheless we found that Absolute Radio suffered from dropouts from about 1km from the mast. This got worse and worse as we approached, rendering it unlistenable within 500m. This fact despite the area being on high ground (and shown as covered on the coverage map). Interference seemed to get even worse when we relocated the antenna from the footwell to the windscreen. This might seem counterintuitive, but if you read-on you will find out why that observation is important! The problem this unit has is not with it’s sensitivity. It’s the selectivity that is the problem which is leading to a specific type of interference called “Blocking”. Blocking, in terms of radio communication, is when reception of a wanted signal (generally termed the Wanted signal (in our case Absolute Radio) is impacted by another signal on a different frequency, often quite a long way away in terms of frequency. The layman would blame the interfering transmitter (“well it’s fine when you turn your transmitter off”). Actually the problem is the design of the receiver. It should be good enough to “filter-out” the interfering signal. It should also turn its internal amplifiers down as low as possible to receive an adequate signal (termed Automatic Gain Control AGC). If it does not then it can cause intermodulation problems etc. What is Adjacent Channel Interference? Adjacent Channel Interference (ACI) happens when the Wanted signal is impacted by a signal immediately adjacent (or sometimes a second, 3rd or 4th adjacent in bad situations). An analogy could someone complaining about the noise from next door. They may simply have noisy neighbours, or perhaps the construction of the party wall is not adequate, or perhaps they are unduly sensitive to noise – a matter of opinion!. The technical design of the DAB system. In order to squeeze in as many channels as possible (ie: increase spectral efficiency), there is only a very small gap between DAB channels (only 0.176MHz between each DAB block which are 1.536MHz wide). 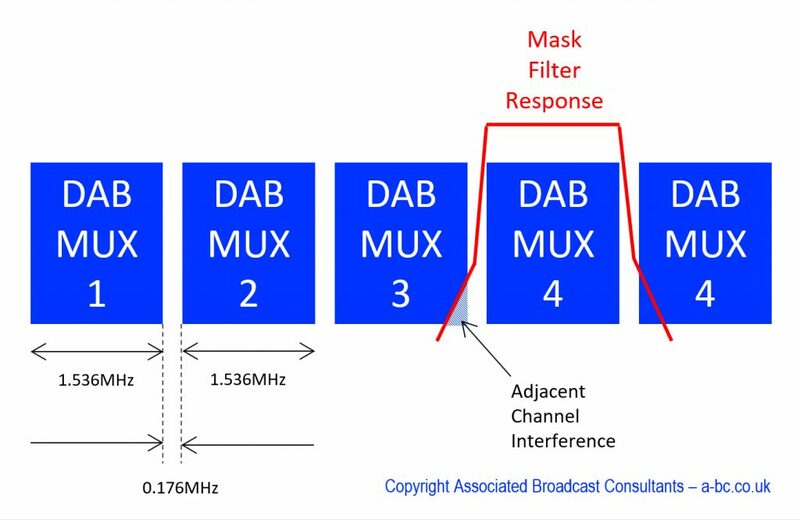 For filter designers this is very challenging – it’s why “Mask Filters” are so big and cost so much on DAB transmitters to reduce ACLR (don’t ask, Google it!) and achieve that narrow gap. Receiver Design – in theory all receivers could all have a filter as good as the mask filter on the transmitter. But that would mean DAB receivers would be extremely expensive! So a compromise is made to make the filters “good enough” for the “majority” of situations. ACI is more likely when the Wanted signal is weak and the interfering signal is strong. Like with blocking, the interfering signal may get the blame, but in reality it is most likely caused by the receiver being used (unless the transmitter’s Mask Filter has gone out of alignment. Armed with that knowledge and returning to our review of the Aldi DAB-FM convertor, we think that the interference we experienced was “Blocking” caused by inadequate filtering and/or AGC control in the unit. We rule-out ACI, because the interfering signal is quite a long way away from the wanted signal in frequency terms. Furthermore, “blocking” seems likely due to the fact the interference got worse when the antenna was relocated to a “better” location. If the issue were not blocking it would not make any difference because the ratio of the wanted and interfering signals would more or less stay the same – they would just both get stronger. But in this situation, having stronger signals just made the problem worse. This indicates a non-linear phenomenon such as Intermodulation which, when bad enough causes blocking. (We won’t try to explain Intermodulation in this lesson – Google it!). 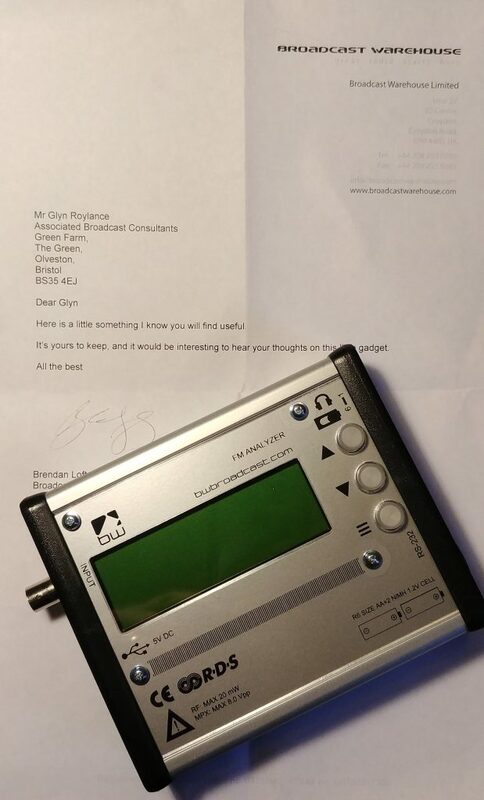 We have also noticed similar problems (although not so extreme) when using a Volkswagen factory DAB radio passing a low power “Small Scale DAB” transmitter in Bristol. Although only a sample of two, it indicates that blocking and adjacent channel interfence may be a real problem for DAB reception. Because it is so counter-intuitive, perhaps it explains the “DAB is crap” claims amongst typical listeners! It could even be made worse by well-intentioned people who install bigger and better antennas to boost reception! So we propose some points to consider for listeners, equipment vendors and broadcast regulator Ofcom! If you have problems receiving a particular DAB service, don’t assume it’s due to a weak signal. (It might be, but it might also be that signals are too strong!). Try making the signal weaker – eg by moving the antenna so it has less view of the outside world or other such means. If the problem seems bad then complain! Complain to the equipment vendor. Complain to the Broadcast Regulator Ofcom. If the problem is widespread, then they all need to know! If it has not been done already, test sensitivity and selectivity of a wide range of DAB receivers on the market – including the Aldi DAB-FM convertor and VAG factory-fitted radios. If the results described here are typical, then it could cause difficulty for the new tranche of SSDAB multiplexes when they eventually rollout. Considering when transmitters are positioned in populated areas, then they might cause problems. One possible precaution might be to oblige SSDAB multiplex operators to reserve a percentage of capacity to relay interfered services if there are complaints. Indeed, having such “Flagship” services on the SSDAB mux may aid uptake and lisenership of marginal services. This entry was posted in Uncategorized on March 8, 2018 by radiohead. P275 – Christmas come early! Look what those jolly nice people at Broadcast Warehouse have sent us to review! A Pira P275 FM modulation analyser. You may have seen our previous review of the older model P175 on this blog. We’ll be putting this one through its paces soon and reporting back here soon! This entry was posted in Uncategorized on March 6, 2018 by radiohead.